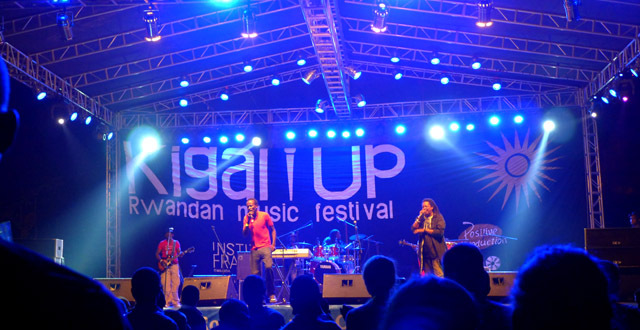 Kigali is a beautiful, clean, green, well-manicured city – and they want to keep it that way so stay off the grass! Walking on the grass here will almost always be met with scowls and finger-waving as you’re told off for daring to take one step on the it as you cross the road or cut across a roundabout. Be prepared to be scolded for daring to walk or sit on the grass in an area that, in most other places in the world would be a park but, in Rwanda, is just a large, tempting, restricted green space that’s there to look pretty. But all grass in Kigali is not forbidden and we’re here to help you wade through the confusion of where your feet can frolic on the greenery and where you’ll be chased down and yelled at by members of the Kigali community. Grass Status: Ok but you’ll have to pay for the privilege. If you want grass but don’t want to risk being told off by someone then pay Rwf 1,000 entry into Cercle Sportif and hang out on their football (or Ultimate Frisbee, if that’s your preferred sport) pitches. You’ll probably have to be on the lookout for flying balls (or discs) so it might not be the most relaxing environment. It might be a better idea just to join in in whatever activities are going on at the time and leave the relaxing for some other spot in favour of something sporty. Grass Status: Ok but BYO transport. This park at the top of a hill on the outskirts of town has been home to the past two Mutzig Beerfests and, as such, has only been seen by me at night with bleary beer goggles. But a friend of mine assures me that it’s a lovely place to hang out. It’s pretty remote so probably only good for people with their own transportation and the road up isn’t the best. They even have their own website so check it out… especially since I’m not 100% sure I know where it is. Though this park looks inviting, with soft lush grass, beautiful gardens and no fencing around it… it’s not. It will lure you in and then laugh in your face as you get chased away. Yes it will. I got yelled at by some gardeners for attempting to walk across the big, tempting park. If you want to enjoy the gardens here, you’ll have to do it from the path that goes around the perimeter. But beware! The path is made up of poorly-spaced stones so you’ll probably spend more time looking at your feet to make sure you don’t trip than you will at the park beside it. For a beautiful park, it sure is frustrating. 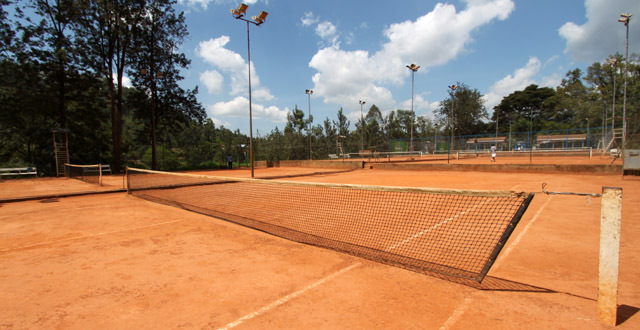 The open spaces at KIST are one of Kigali’s best kept secrets. The grounds are vast and, though overgrown in many parts, there are still some nice grassy areas to take advantage of. Plus I think the KIST campus has one of the best views over the city. I’m not sure how the student population would take to a invasion of picnic-ers but, if you’re discrete, it would make a nice place to relax on the grass. There’s a lot of space so just hide yourself behind some trees and hope for the best. Grass Status: Told it’s ok but the fence and gate tells me otherwise. At your own risk. This giant roundabout up by parliament at the top of Kimihurura is a pretty uninviting place, with a chain-link fence circling it and the only gate to be seen is a red and white barrier (see the photo at the top of this post) to stop cars that doesn’t appear to open. Inside, the park looks lovely, though, with gazebos, grassy areas, all kinds of trees and loads of space. While the park seems hell-bent on keeping people from getting in, I was told by a security guard working across the road from the gate that people are, in fact, allowed to go inside. I’m not sure if he was attempting to play a cruel joke on me in an effort to see me chased away by the gardeners again, though, so enter at your own risk. Next to the roundabout there’s a grassy area that doesn’t have a fence and doesn’t seem to have anyone paying much attention to it. There are no gardens, just a few trees and it looks like a great place to hang out and kick a ball or throw a frisbee around. No attempts were made by me to walk on the grass, however, so I have no idea if this spot is forbidden or friendly. There are no guards or gardeners lurking around though, so I’d say it’s worth a try… although people always seem to pop out of nowhere to tell you not to walk on the grass in this city, so it remains to be seen. As a bonus, there’s a great view over the city. This football pitch is near Cercle Sportif and is surrounded by a park. The pitch is fair game, the park is nicely manicured so you probably have to stick to the paths. That’s all I have to say about that. Grass Status: Ok but you’ll have to hike to get to it. Mount Kigali stretches from Nyabugogo to the top of Nyamirambo and is a popular spot for hikers. Or so I hear… I prefer to look at the hill from the comfort of my back porch with a mimosa in hand, but friends assure me it’s a beautiful spot with great views of the city and some decent picnic spots. So put your hiking shoes on and head off in search of some nice spots high above the city. Be careful not to wander into the military area, though. Word on the street is that they do not like it when that happens. Located in the valley between Kacyiru and Nyarutarama lies a forested area with some walking paths. It’s not the most dense or nice forest in the world but it makes a nice shortcut between the two areas and an escape from the roads above. The overgrown grass gets pretty crispy and stabby in the dry season so it’s probably best to stick to the paths but there are a few spots along the paths that would make nice spots to sit for awhile. There are lots of bugs and flowers and not a lot of people seem to venture down here but it’s pretty nice and I like walking here. Grass Status: Unsure… you might have to be wearing a wedding dress. You’ll see plenty of folks wandering around the Wedding Roundabout (near KBC) on sunny Saturday afternoons in, you guessed it, wedding outfits. It’s a popular wedding photo spot and, along with the fountain, paths, and benches, there are some grassy spots. If it’s anything like other green roundabouts in the city though, you’ll be chased away if you set foot on the grass. It’s probably not the most relaxing place to hang out anyways… it’s hard to chill out as traffic circles you. Grass Status: Ok but you’ll need to buy something. If you’d rather have your grass with a tasty, cold beverage then there are a few hotels and restaurants in town that will do the trick. Hotel Des Mille Collines has a decent-sized chunk of grass next to their pool. If you want to hang out by the pool but have no intention of swimming then the grass is a good place to be as they won’t charge you for being there. Buy a drink and chill or just be ghetto like us and BYO sandwiches and water. The Stonehouse bar near Sonatubes has a pretty big grassy area and I think I even spotted a trampoline. Food is brochettes, chicken and other Rwandan goodies and cold beers are on offer. People might think it strange that you’re sitting on teh grass but if you don’t mind being judged, the grass is very inviting. Mamba Club is another Kigali favourite with some grass to hang out on. The place is sporty with a pool and a volleyball court and lounging around on the grass is expected. How dog friendly are these grassy areas? Also, if plastic bags are banned, what do the responsible pet owners use to pick up after their pets? I will be arriving in Kigali Summer 2012. Grass Status: Unsure… you might have to be wearing a wedding dress.” LMAO!! I love your website! You make me laugh every time. if anyone is interested in hiking or outdoors sports please contact me lizgomez21@gmail.com – new to the city from Texas in America!!! thanks! Unfortunately, in the distant future, the forest around L. Nyarutarama (and maybe the lake itself), will be no more as it (they) will be destroyed to make way for a leisure park. Very soon the things that will be enjoying that lawn will be land moving machines destroying the grass to replace it with concrete and steel. The cost of “development”, shall be the eternal quest for green spaces to replace with steel and concrete.